A basketful of thoughts, overflowing at times. Christmas is over and many of us are remembering the holiday with joy, but groaning inwardly at the bills we know are coming in January. I know I am one of many who have trouble planning ahead, and budgeting for Christmas. I almost always find myself having to put something on a credit card when I swore I wasn’t going to do that this year. And then I am stuck paying for Christmas many months later when I would much rather be saving for next year. This looks interesting, but when it comes to my family I can already see some problems with how this would likely play out. In the beginning we would look at the trivial amount of money and say “We’ll catch up next week.”, but we wouldn’t. Anything more than $40.00 a week would just smash our budget to pieces and it would unfortunately happen right when the holidays start to pick up and we would most need that little wiggle room. Lets face it, almost no one plans perfectly. In our household we typically find our budgets to be the tightest starting in the fall with the smaller summer vacation paychecks coming in, and back to school expenses, and that is when this really starts to pick up. We get paid bi-weekly, so we budget bi-weekly, shop bi-weekly, and save bi-weekly. 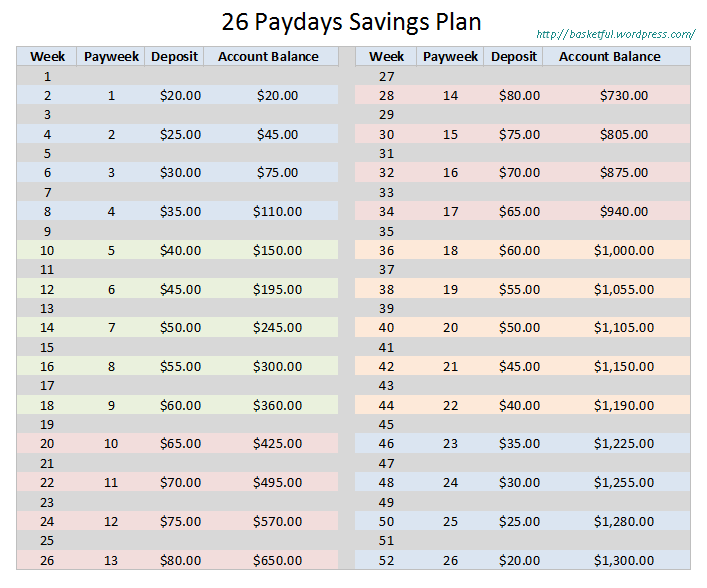 To better suit my family’s financial needs I’ve come up with a slightly modified version of the original 52 week savings challenge. This savings plan starts small, grows to it’s maximum savings amount by the middle of the year, and then tapers off to a small and completely do-able amount by the time the holidays roll around. This plan starts small, but not so small that we would feel like we can just catch up next week. It takes into account that there are some extra bills for us in the early months of the year such as registration renewals and yearly subscriptions. It does pick up in amount fairly quickly, but then tapers off again just as fast. By the time back-to-school rolls around the savings amount per paycheck is small, and continues to get smaller as you transition into the holidays. Some people will be thinking that this plan doesn’t save as much as the original version. You’re right, but if you can’t come up with a plan that works for you then odds are you won’t save anything at all. I challenge you to find what works best for you and your family, even if that is just tossing all of your spare change in a jar. Every little bit helps. 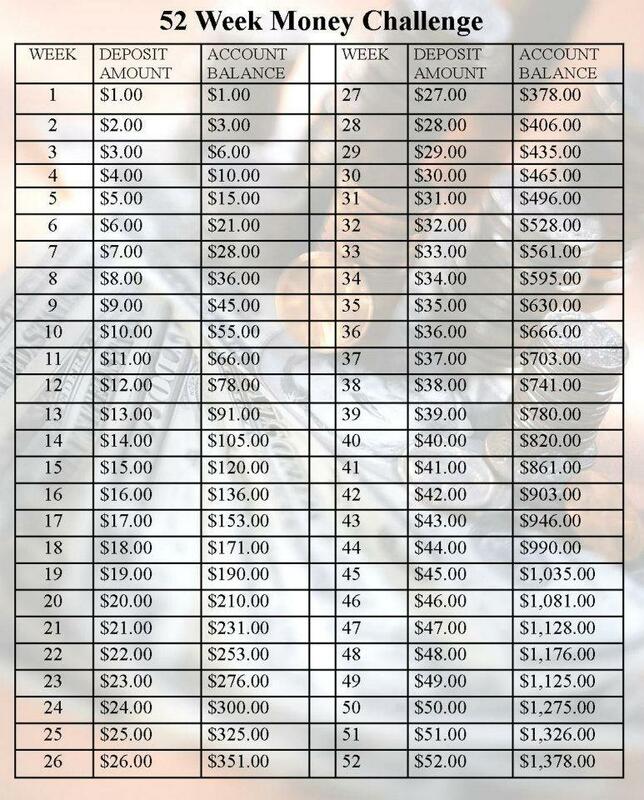 If your resolution for 2014 is to get your budgets and savings in order then give this a try. It just might work for you.